Thank you and CONGRATULATIONS TO ALL OF YOU who participated in the “1st PHAT Physiques Body Transformation Challenge”!!!!! I was very impressed with the changes that all of you made! Wow! Great job! Out of the top 3… Each of you sent in all of your pictures, but I had one that didn’t join the challenge until half way through. So I thought, should I count off for that because this person didn’t go the full 16 weeks? But then this person and one other of the top 3 sent in goals and not only reached their goals, but made even new goals and went even farther than they thought they would! Then I had another person that had GREAT before and after photos, but the percentage of weight loss wasn’t quite as high as one of the others. Whew… what a decision! So since the top 3 were that close… I decided to go with who had the highest percentage of weight loss. The 4th and 5th place winners also made great changes as well and should be VERY PROUD of themselves. Part of the reason that they weren’t considered in the top 3 is that they didn’t send in all of their photos throughout the challenge, so although they made great changes… sending in photos during the challenge when they were due, counted as part of the judging. Are you guys ready to see the Placings????? The top winners in the first “PHat PHysiques Body Transformation Challenge” are…. Nicole is the one that didn’t come into the challenge until April, which was about half way through, but lost the highest percentage of weight in the shortest time! She reached her first set of goals and then had to change them and kept on going. She even enter her first Bikini Divas Contest before the challenge was over. She joined PHAT Camp in April and started with a weight of 121.2 lbs. and ended up at 107.8 lbs. That’s a 13.4 lb. loss, making her percentage of weight loss 11.06% ! Good job, Nicole! David started the challenge from the beginning and sent in all his photos and made great changes in each set of photos that he turned in! I was very impressed with the difference from his first set of photos to his last set! David looks awesome and has good shape and ALOT of GREAT, quality muscle! He had a starting weight of 207 lbs. and ended with a weight of 185 lbs. That’s a 22 lb. loss, making his overall percentage of weight loss… 10.63% ! Great job, David! Emily is so INSPIRING and has worked so hard since I’ve known her. I met her in November when she first joined PHAT Camp and has lost over 30 lbs. since then! She had just started running a month or two before then and could barely make it 2 miles without having to walk. Since then she’s done several races, even including a Half Marathon! Her motivation is so contagious… I’ve done a couple races because of her example. She’ll be getting ready for her second Half Marathon next month and is now thinking of doing a Triathlon maybe next year! 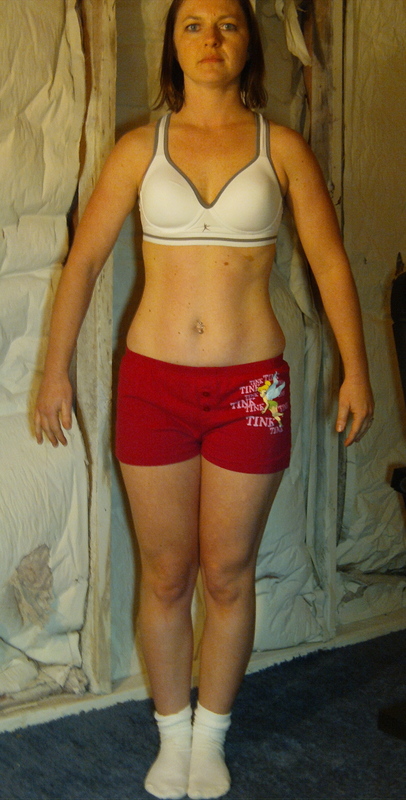 For this challenge… Emily had a starting weight of 183.4 lbs. and ended with a weight of 167 lbs. That is a 16.4 lb. 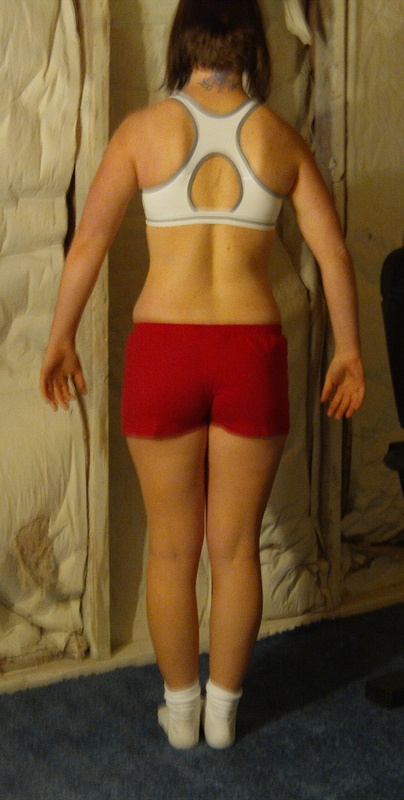 loss, making her total weight loss percentage… 8.94%! Good job, Emily!!! Rachel is another very inspiring person who is also a runner and very active. I can’t believe all that she does… She Runs, Weight trains, & does my PHAT Camp every week! Rachel is also getting ready to do a Half Marathon in about a week! Running is just sooo easy for her. She has worked hard to get the results that she’s gotten in her before and after and should be very proud of herself. And… she’s even thinking about doing the next Bikini Divas Contest in August with “Team PHAT”! Rahcel had a starting weight of 144 lbs. and ended at 135 lbs. That’s a 9 lb. loss, making her total weight loss percentage 6.25% ! Good job, Rachel! LeAnne is an amazing woman that I met on YouTube! She saw the challenge on my YouTube Channel and wanted to join in. She was getting ready for the Nevada State Bikini Divas Competition that was held on June 5th. I went to the show to cheer her on and she looked soooo good! I don’t know her stats as to what her weight loss was, but I know she worked really hard and made some great changes! LeAnne is the one I haven’t heard from yet about her ending weight and if it’s ok to post her before pics, so I’m just going to post one of her after pictures that I’m sure she’s proud of. Good job, LeAnne! I’d like to say… “CONGRATULATIONS to the rest of the Challengers! Thank You ALL for participating in the “1st PHAT Physiques Body Transformation Challenge”! You ALL did an Awesome job and should be PROUD for making a commitment to Yourselves, Sticking to it, and Changing your Physiques! This entry was posted in Body of Your Dreams, Body Transformation Challenges, Body Transformation Photos, Getting Leaner and tagged Body transformation challenge, body transformation in reno, Body Transformations, lose weight in reno, Phat Camp in reno, phat physiques, Reno, Reno Bootcamps, reno fitness, reno personal fitness trainer, reno personal trainer Clifta Coulter Perez, reno phat camp, reno weight loss, Reno Weight Training. Bookmark the permalink. ← The Secret to the Body of Your Dreams!